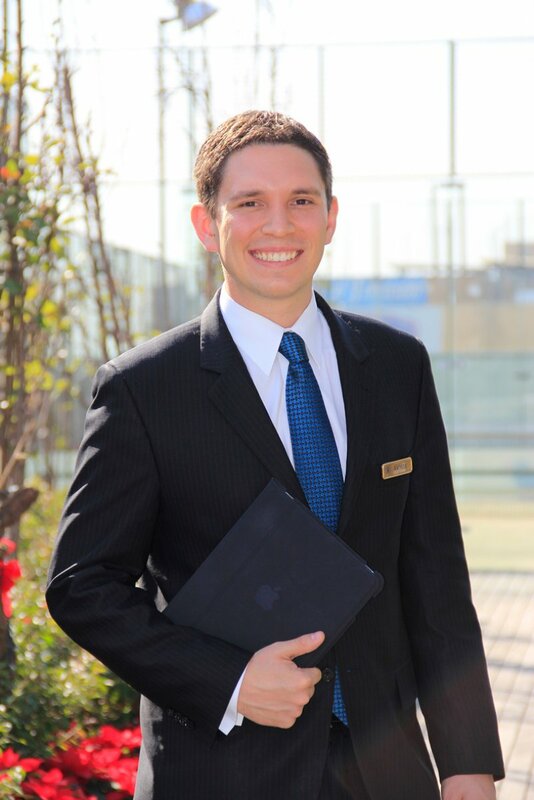 Right after graduating from Les Roches, a Swiss hotel management school, Andres Tobon Lascano decided to go to Vatel Buenos Aires for his Postgraduate Degree in Hotel and Tourism Management in 2009. A mere two years later, he was hired as the Conferences and Banquets Manager at the Hilton Mexico City Reforma Hotel and told us about this job a little farther down in this article*. A story that is still being written in North America in Washington, where Andres was hired in the Corporate department of the Marriott International as the Revenue Manager for 12 hotels in this chain. NEW JOBS FOR VATELIENS: In September, 2015, Andres was hired as the Marriott International Director of Revenue Management, CALA Remote Solutions - Mexico, Central and South America. Coming soon: his new interview. What exactly is your job today? I am the Director of Catering and Special Events at the Hilton Mexico City Reforma Hotel. This magnificent hotel has the largest congress and seminary center in all hotels in Mexico City and can easily seat up to 5,000 attendees. My responsibilities include budgets and forecasting, training and monitoring my team members, competitive intelligence and designing and rolling out our different strategies. I also supply various data and trends to the Director of Business Development. What kind of education did you have before joining Vatel? I began my college education by studying International Commerce and Business Management in Colombia, where I was born. Then I decided to start studying in what I had always dreamed of doing: hotel management. I attended a hotel management school in Switzerland and got my degree after my last internship. What made you want to attend Vatel? I wanted to continue my studies and expand my knowledge with new professors, a new environment, new teaching methods and a different vision. So all those things made me decide to apply to an internationally recognized school that was present in Argentina: Vatel in Buenos Aires. It was one of my friends who was attending Vatel in France who gave me this idea. Out of all of the schools in Argentina, this was the one that met all my expectations: teachers and instructors that had worked in the profession as well as cultural diversity. Can you remember a particular fact or experience when you were attending Vatel, either in one of the courses, or during your practical application work or internships, that still impacts you today in your professional life? I have loads of memories! But I think that the one that impacted me the most is the discipline the Vatel spirit requires.Paying attention to each and every detail as well as the vast professional experience all the professors and instructors have. In class we went over extremely concrete case studies in the hospitality industry. My Vatel diploma really gave me a new vision of the international hospitality industry. Can you briefly tell us what you did after you finished Vatel? Right after I got my diploma from Vatel in Buenos Aires, I worked for four months in a very nice boutique hotel in the Palermo district in Buenos Aires: the Nuss Hotel. This was a really short experience, as I was selected, after an extremely thorough selection process, to take part in the “Elevator Program” of the Hilton Group. This is a training program where you cover the managerial and administrative specificities in all the departments in a hotel. For the first half of the program I was assigned to the Double Tree Cariari Hotel in San Jose, Costa Rica. Later on I was assigned an extremely specific mission: negotiating collective bargaining agreements for the Hotel Trinidad Conference Center. For the second part of the program, I went to the Hilton Mexico City Reforma Hotel. I also joined the team who was responsible for preparing the opening of the Hampton Inn by Hilton, Ciudad del Carmen, Campeche, in Mexico.When I finished my training and missions, I was promoted to the job I currently have. Is there anything else you’d like to tell Vatel students or future students? I believe something that is really simple. You certainly have the right to be undecided about what career path to follow.But on the other hand, you must remain aware of and attentive to any opportunities along the road. Never lose an occasion to learn something; you gain knowledge through all sorts of experiences. Decisions that you make today will impact your future. Don’t frustrate yourself by trying to plan everything out. You have to be flexible and seize each and every opportunity that schools like Vatel will give you.